XCOM: Enemy Unknown has been relisted on Xbox 360 and most likely returned in May of 2018. As of this writing it has yet to return on PlayStation 3. XCOM: Enemy Unknown and its downloadable content were delisted in early July 2016 for Xbox 360 and PlayStation 3. On May 24th, 2016 Xbox hype man, Major Nelson, announced that the game would be “free” in the latter half of June to North American Xbox Live Gold subscribers; it was previously available to PlayStation Plus subscribers. Tweets and forum posts began questioning the game’s availability as early as July 9th, 2016. The game’s removal from consoles comes nearly two years after it was delisted on iOS and Android in advance of the standalone expansion XCOM: Enemy Within. Though Enemy Within was also released on consoles in 2013 this seems to be the same reasoning behind its 2016 delisting. Enemy Within contains the story and DLC content of Enemy Unknown so it seems 2K would rather encourage users to buy the newer $30 expansion than keep the older content available at a lower price. 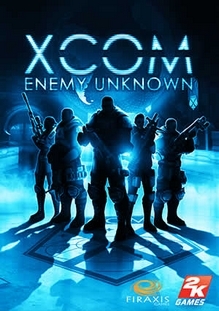 XCOM: Enemy Unknown remains available on Xbox 360 and PlayStation 3 on disc, as a download for PlayStation Vita that includes the Enemy Within content, and on Steam as a standalone product with the original DLC and Enemy Within expansion available individually. “Threatened by an unknown enemy, the Earth’s governments unite to form a secret paramilitary organization, known as XCOM, to combat this extraterrestrial attack. As the commander of XCOM, you control the global defense team in a battle against a terrifying alien invasion. Global Threat: Lead your squad in fierce battles to defeat the alien threat, and rescue civilians in crowded cities and desolate outlands around the world. Strategic Base of Operations: Build and expand your XCOM headquarters, recruit and develop unique soldiers to take into battle, and research alien technology to expand your weapons and capabilities. Tactical Multiplayer: Mix and match aliens and soldiers and combine abilities to outsmart and overpower your opponent.